The best things in life are FREE…and so is our honey! Our friends at @ThriveMkt are giving away FREE jars of Really Raw Honey to first-time members and existing customers! Click here to get yours! Raw, unstrained, natural—this is how all honey should be made. Straight from the hive, Really Raw Honey contains vitamins, minerals and enzymes needed for a strong immune system. For the first time, @ThriveMarket is offering jars full of craft honey for FREE! First-time members get a FREE gift and existing customers can too with a minimum $50 purchase! Claim your jar by clicking here. Whether you drizzle it on some oatmeal or use it to sweeten tea, you know that honey is the ultimate kitchen staple. That’s why we’re so excited to announce that our friends at @Thrive Market are offering Really Raw Honey for FREE with any $50 purchase! We’re buzzin’ over this sweet deal. Snag yourself a bottle while supplies last by clicking here! Honey Sriracha Chicken Wings..finger licking GOOD! Well here we are again at that time of year when the football season has kicked-off and the baseball pennant races are heating up! Is there any other time of year that your television’s remote control gets such a workout switching back and forth from game to game? Now how do you take care of the appetite that has been built up by all that exhaustive channel changing? Trust me, these Honey Sriracha Chicken Wings will make you the MVP on any game day! Honey Sriracha Chicken Wings....finger licking good! Salt and pepper chicken wings to taste and bake for 30 minutes. Turn wings over and bake an additional 15-20 minutes. Combine Sriracha, garlic powder, honey, ghee, lime juice and chili pepper in a sauce pan. Bring to a boil, then whisk in tapioca flour. Remove wings and coat in sauce. Bring oven temperature up to 375F. Bake wings an additional 5 minutes. To serve, drizzle wings with excess sauce. Enjoy! Steak or chicken for dinner, Boston lettuce or romaine for a lunch salad, orange juice or apple juice for a breakfast beverage? Once you’ve made a few preferential decisions, the choices don’t stop there—now you have to decide whether you want to opt for organic or not. At first glance, organic food make seem like a ploy to get consumers to pay more for the same product. And while organic options do tend to have a heftier price tag than the non-organic counterparts, there is a difference. A big one. One of the reasons that people may sometimes feel hesitant to pluck organic-labeled foods from store shelves is because the term itself has become muddled. The term “organic” actually refers to how farmers grow and process agricultural products like fruits, vegetables, meats, grains, and dairy products. At a baseline, their farming practices help with soil and water conservation and also reduce pollution—but in so doing, the final product also becomes healthier to consume. For example, regular produce and meats come from farms that use chemical fertilizers to promote plant growth. Unfortunately, fertilizers can deplete the quality of the soil, contribute to global warming, and have a negative impact on our health. Organic products, on the other hand, come from farmers that do not use conventional methods to fertilize and control weeds in their pastures, or to prevent disease amongst livestock. Instead of fertilizer, organic farmers opt for natural choices to feed the soil and their plants, like manure or compost. The only way to know for sure if a product is truly organic is to look for the presence of the United States Department of Agriculture certified label, which ensures that more than 95 percent of the ingredients used are organic and non-GMO, and that animal products contain no antibiotics or growth hormones. Simply seeing the printed words “natural” or “organic” on a label (without the USDA seal) requires a bit more research before you purchase since some manufacturers have taken advantage of the growing interest for organic and natural food options and have carelessly thrown those words on the packaging without actually following the guidelines. Products featuring the USDA Organic seal are made with strict production and labeling requirements in mind. They’re produced without genetic engineering, ionizing radiation, or sewage sludge, and they’re only created using allowable substances. Additionally, the production process is overseen by a USDA National Organic Program-authorized agent who ensures everything is done according to regulation—check-ins happen on a regular basis to uphold these high standards. Already, you can probably see the benefits to going organic, even if it only means that the process and production is under close scrutiny. However, opting for foods with the USDA organic label also offers hidden health benefits as well, making them good choices for the well-being of you and your family. Pesticides are one of the biggest culprits of toxins, and belong nowhere near our foods. Why exactly do farmers use pesticides in the first place? Because they can prolong the shelf life of the finished product and/or lead to more plentiful crops. But the residue that the pesticides leave behind then gets transferred to the human body once consumed, and it can lead to some serious problems. Exposure to pesticides can lead to a range of complications from acute poisonings that cause temporary or permanent nausea, abdominal cramps, diarrhea, dizziness, anxiety, and confusion, to more severe damage like respiratory issues, memory disorders, skin conditions, depression, miscarriage and birth defects, even cancer and neurological conditions like Parkinson’s disease. Additionally, organic regulations are strict in regards to the use of food additives, processing aids, or fortifying agents—such as preservatives and artificial sweeteners, colors, and flavors. These items are intended to help process or prepare the food, keep it fresh, and overall make it more visually appealing. While a lot of additives are “generally recognized as safe (GRAS),” by the U.S. Food and Drug Administration (FDA), many still have not been tested thoroughly—if at all. And even then, some substances that have been shown to be harmful to people or animals are still allowed to be used. To avoid complications from pesticides and additives—which are not yet entirely understood by the FDA anyway—organic food is the way to go. 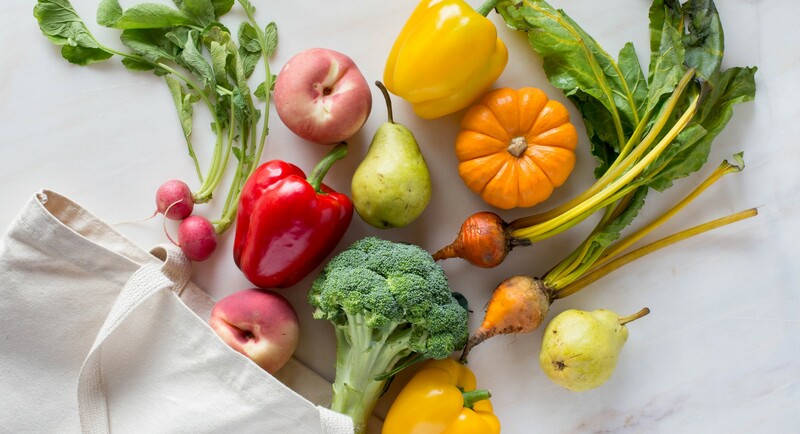 Farmers are held to high standards to produce the foods, and while the nutritional value often remains the same on either side of the debate, organic foods allow the natural flavors to really shine. Some studies have even shown that people prefer the taste of organic foods over non-organic options. Another big reason to choose organic foods is that it’s better for the environment. Organic farming practices are designed to actually promote the environment instead of contaminating the air with pollution or spraying pesticides near water sources. Pesticides in particular contaminate not only soil, but water, turf, and other vegetation. They’re successful in killing insects and weeds, but they can also be toxic to other organisms like birds, fish, certain beneficial insects, and plants that were not the original intended target. That’s because the chemical doesn’t just target the produce it’s being sprayed on, and thanks to wind drift, up to 25 percent of the chemical can be redistributed. Additionally, pesticide use can trigger populations of beneficial soil microorganisms to decline, resulting in poorer soil quality over time. Organic farming, on the other hand, keeps land in mind, aiming for sustainability over the long-term and not simply considering the next season’s bounty. Organic produce is made while establishing an ecological balance that naturally prevents soil infertility or pest issues. And aside from not having chemicals spreading into the world, this type of agriculture reduces non-renewable energy use by decreasing agrochemical needs that generally require high quantities of fossil fuels. It’s an organic farmer’s job to promote biodiversity, paying attention to the soil and climate and adapting as needed. Farmers will frequently use under-utilized species to build soil fertility, which can reduce erosion and create a healthier gene pool. The lack of pesticides also attract new or re-colonizing species to the organic area—and not just produce! It can also bring in new or returning birds or other organisms like pollinators and pest predators. When should you go organic? So, if you need to mix up your choices of organic and regular food choices to stay on budget, always try to go organic with items in the first list. Non-organic items from the second list will still be subject to some pesticide exposure, but it will be at a lower risk. Avoid cross-contamination: Keep your fresh veggies and fruits away from any uncooked meats or fish that may have germs and bacterial. Always wash your hands before preparing meals or handling produce. Choose fruits and vegetables that are ripe and avoid any foods that are bruised, moldy, or mushy to the touch. Purchase in-season produce. This will guarantee that you get the highest quality possible, especially if you also purchase it on the day it’s delivered to the store. Wash any and all pre-packaged produce, even if it states it’s been washed. This helps to reduce lingering dirt and bacteria. Rub the produce with your hands under cool water or scrub it with a vegetable brush. Wash any parts of the fruits and veggies you’re preparing, even if you don’t eat that particular part. Bacteria can live on rinds and stems, so even though they end up in the compost they can still transfer nasty agents to your food. Something fishy is going on here…. Our nation boasts a shockingly diverse array of delicious seafood. From flaky North Atlantic cod to delicious gulf shrimp, Southern catfish to salmon from Alaska and the Northwest, we Americans love our fish. Each year, we eat almost 15 pounds of seafood … each. And that number is on the rise. But when you sit down to a baked haddock, how do you know it’s haddock? Similarly, were the tilapia filets you just put into your grocery basket really tilapia? These may sound like ridiculous questions. Of course I’m eating what I think I’m eating, you say. An astonishing one in five of us is a victim of seafood labeling fraud, according to a report released this week. In the report “Deceptive Dishes,” Oceana, an organization devoted to protecting oceans, shares the results of its worldwide examination of more than 25,000 seafood samples. What they found: 20 percent of the seafood examined was fraudulent, either because it was swapped for a cheaper cut of fish, its origins were hidden, or it was filled out with additional ingredients to increase its weight. Oceana discovered instances of fraud in all 55 countries where investigations took place, on every continent except Antarctica. Asian catfish, hake, and escolar were the three types of fish most commonly substituted. Specifically, farmed Asian catfish was sold as 18 different types of higher-value fish. More than half (58 percent) of the samples substituted for other seafood posed a species-specific health risk to consumers, meaning that consumers might be eating fish that could make them sick. 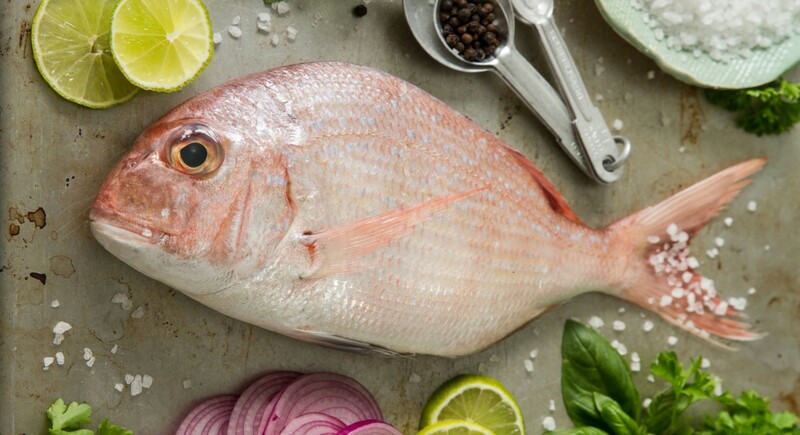 Of the 200 grouper, perch and swordfish samples tested in Italy, 82 percent were mislabeled, and almost half of the substituted fish that were sold were species that are considered threatened with extinction by the International Union for Conservation of Nature (IUCN). In Brazil, 55 percent of “shark” samples tested were actually largetooth sawfish, a species considered by the IUCN to be critically endangered, and for which trade is prohibited in Brazil. Ninety-eight percent of the 69 bluefin tuna dishes tested in Brussels restaurants were mislabeled. And that’s just the tip of the iceberg, which is quickly melting because of climate change–induced ocean warming. What can be done to curb seafood fraud and restore confidence among the fish-eating public? In short, Oceana asserts, better tracking of fish from sea to plate and more information for consumers. Specifically, Oceana is calling on President Obama’s Task Force to require that key information follows seafood through the full supply chain: the name of the specific species caught, where and how it was caught, and whether it was farmed, for instance. This information should be shared with consumers in a clear way to instill confidence. A few companies voluntarily do this already. Red’s Best in Massachusetts, for instance, includes a QR code on every cut of seafood it sells that allows consumers to see the American fisherman who caught it, where it was caught, and with what boat and equipment. There’s even a photo of the fisherman. Fishpeople, a line of packaged sustainable seafood products, also lets you enter a code to track pouches from “pole to plate—and “meet” the people who caught the fish. In a globalized fish market, we’re going to need a lot more companies worldwide to make similar commitments—and governments that require that fish be traced more closely. Cauliflower is white like rice and can apparently mimic its taste, too. Swapping out the rice and potatoes in dishes with chopped-up cauliflower gained traction with followers of the Paleo diet and others mindful of their carbs. Now, several companies are trying to take advantage of the trend. Trader Joe’s began selling frozen “Riced Cauliflower” last year and a fresh version this year. Swapping out the rice and potatoes in dishes with chopped-up cauliflower has gained traction with low-carb dieters. Now, struggling vegetable maker Green Giant is hoping the “cauliflower rice” trend — which has led to some Trader Joe’s quickly selling out of bags of its house version in some areas — will go mainstream and help it reverse years of declining sales. Others are in on the trend, though, which could hamper Green Giant’s ambitions. Trader Joe’s began selling frozen “Riced Cauliflower” last year and a fresh version this year. Wegmans, a Northeastern grocery chain, has been selling a house brand for a little over a year. Kroger began rolling out “Cauliflower Pearls” similar to Green Giant’s crumbles in select locations in July, with plans to make them available at its supermarkets nationally. Producer Taylor Farms notes overall cauliflower sales in the U.S. rose 13 percent last year, and that people are using chopped cauliflower as a replacement in recipes for rice, mashed potatoes and pizza crusts. Parents have long used similar tricks to sneak more vegetables into children’s diets. But now more grown-ups are using swaps, like replacing pasta with shredded zucchini, to cut the carbs in starchy dishes. Although stocking decisions vary from store to store, Whole Foods says it began selling shredded vegetables as veggie “noodles” or “pasta” widely in 2013. The nation’s carb phobia is apparent in sales of dry pasta, which have declined since 2009, according to market researcher Euromonitor. Sales of rice, however, have edged up annually since 2011, suggesting it has been relatively shielded and that “cauliflower rice” may remain niche. It’s a big bet for B&G Foods, which purchased Green Giant from General Mills Inc. last year and counts on the brand for more than a third of sales. Since 2011, Green Giant’s frozen vegetables sales in the U.S. have declined 25 percent to $477.6 million, according to Euromonitor. 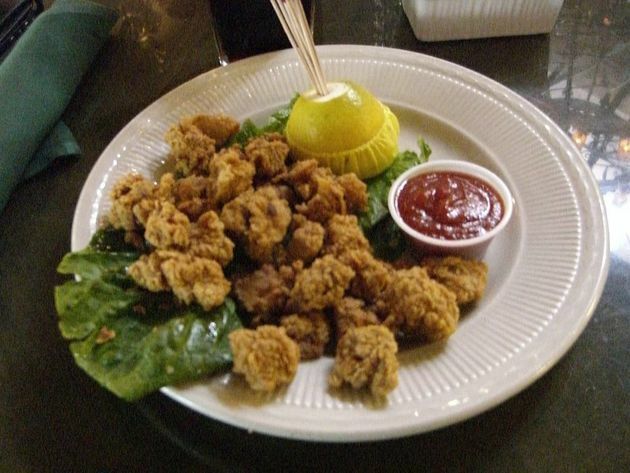 Rocky Mountain Oysters Aren’t Shellfish. They’re Testicles. Ranchers annually dehorn, brand and castrate their spring calves ― this protects members of the herd from each other, and from injuring the ranchers themselves. At the end of a day of castrating, big ranches can end up with over a hundred testicles. In the spirit of not wasting, the ranchers made use of them by cooking and eating them. It just made economic sense. Traditionally, the testicles were thrown on the branding coals or iron to cook, but these days they’re more commonly breaded and deep fried. In Montana, there are festivals dedicated to this dish ― the most famous being Testy Festy, where 50,000 pounds of testes are consumed on average. Sounds like a real ball! Madonna mia, pizza for breakfast isn’t just a dream—this Paleo-friendly, gluten-free pie makes it a reality. Topped with crispy bacon, juicy tomatoes, sautéed spinach, mushrooms and runny eggs, this pizza makes a show-stopping brunch. Try prepping the crust and toppings ahead of time to make the recipe come together even faster. A taste of heaven in the morning...Breakfast Pizza! Whisk together eggs and coconut milk in medium-sized bowl. In small bowl, whisk together coconut flour, garlic and onion powder, Italian seasoning, baking soda, and salt. Mix coconut flour mixture into egg mixture. Combine well, then, with a spatula, spread the dough 1/2-inch thin onto prepared baking sheet, to form circular or rectangular shape. Bake in oven 15 to 20 minutes, or until golden. Meanwhile, in skillet over medium-high heat, cook bacon until crispy. Remove bacon, reserving grease in pan. Add spinach and mushrooms and sauté 1 minute to wilt the spinach and gently cook the mushrooms. Cover crust with slices of tomato, top with bacon slices, spinach, and mushrooms. Make 4 indentations in toppings and crack the eggs into each. Sprinkle with salt and pepper and bake 12 to 15 minutes in oven until the whites have set but yolks are still runny. Slice and serve warm. This is a dish that can be served as an appetizer. The onion and carrot add a nice touch of color and the red chili gives it some zip. You could serve it over spaghetti squash and make this into a mouth watering entrée. Either way you serve it, you and your guests will love it, Buon Appetito! In a heavy pan or skillet over medium heat warm the olive oil and add the chopped garlic. Sauté briefly and add the diced red onion and carrot. Cook for about 1‒2 minutes then add the clams, white wine, red chili flakes and Italian parsley. Cover and cook until clams start to pop open. Transfer the clams to 4 heated bowls. Add the butter to the sauce and spoon over the clams. Garnish with sprigs of Italian parsley and slice of toasted rustic bread. Serve in bowls alone, or over pasta. You gotta be freaking kidding me!!! I couldn’t resist in awarding this with our weekly “You gotta be freaking kidding me Award”! How stupid are the exceedingly rich? If you thought they couldn’t get dumber than shopping at or selling overpriced goods to Barney’s despite its racist shop-and-frisk scandal, think again. The rich are now paying Barney’s $650 a pair for sneakers that have been pre-dirtied, frayed-laced, banged up and some even duct-taped. That must cost extra, since those seem to be sold out. This, even as Newsweek reported that “No one wants your used clothes.” Charities can’t get rid of the clothes you donate — and the sheer tonnage is creating an environmental hazard. Since the uber rich want to look chic while looking homeless, they won’t buy our authentically banged up thrift-shop-donated $5 sneakers, preferring to spend $650 for ones deliberately demolished by designers. Idiots. Right. Dirty-shoe execs will continue to get stinking rich off the clean feet of the filthy rich. If you’re looking for a crowd-pleasing brunch dish that won’t keep you held up in the kitchen, here it is. This recipe brings together luscious baked eggs, melted creamy gruyère, and crispy prosciutto for a fancy-looking yet simple Sunday morning meal. Just layer all the ingredients in muffin tins, pop in the oven to bake, and they’re done! Preheat oven to 375 degrees and lightly grease muffin tin cups with olive oil. Place 2 slices of prosciutto in each cup making sure to fully cover the bottom and the sides, leaving about ½-inch overhang on all sides. Divide the cheese between the prosciutto cups, crack one egg into each, being careful not to break the yolk. Season with salt, pepper, and thyme leaves, and bake about 15 minutes or until the whites have set and the yolks are still runny. Run a knife along the edges of each cup to unmold and serve warm. Limited time offer. Free shipping automatically applied at checkout. No code required. Quantities of this special offer are limited and subject to continued availability. One use per customer. Coupon codes may not be combined with other coupons or promotional offers. Please visit https://thrivemarket.com/terms for complete Terms of Service.